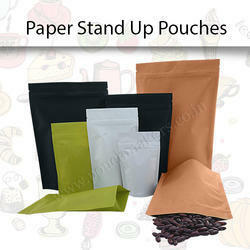 Providing you the best range of stand up pouches with zipper, stand up pouches, green and brown stripped paper bag, brown paper stand up pouches, white paper stand up bags and namkeen-farsan packaging with effective & timely delivery. 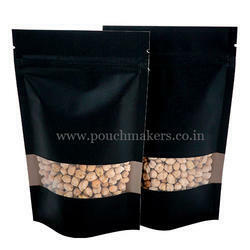 Backed with leading–edge technology and experienced professionals, we are offering an extensive range of Stand up Pouches with Zipper that are mainly used in food and chemical processing industries. Offered pouches are designed under the guidance of our skilled craftsmen using high quality plastic as per the latest market trends. These pouches are highly appreciated in the market for their features like tear resistance, perfect finish and durability. 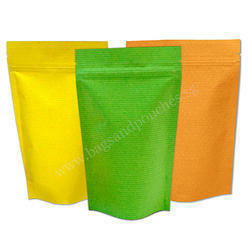 To meet the varied needs of the clients, we offer these pouches in different shapes, colors and sizes. Empowered with a team of passionate personnel, we are engaged in offering a broad collection of Stand Up Pouches. In order to exceed the expectation of the customers, the offered pouches are manufactured using optimum quality plastic and widely accepted technology. In addition to this, our pouches undergo various tests under the supervision of quality controllers, in order to ensure their flawlessness. Apart from this, we provide entire range in various sizes at affordable prices. We are offering Green and Brown Stripped Paper Bag to our clients. 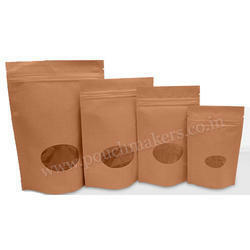 Being client centric organization, we are engaged in providing a wide range of Brown Paper Stand up Pouches. 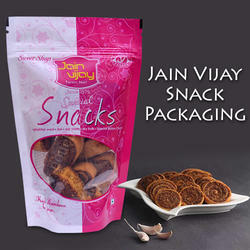 These bags are manufactured by utilizing latest machine and technology in accordance with industry set guidelines. In order to deliver flawless range to our clients, these bags are tested on various quality parameters by team of experts. These bags are available in various sizes, shapes and capacities and can also be custom designed at pocket friendly price for our esteemed clients. 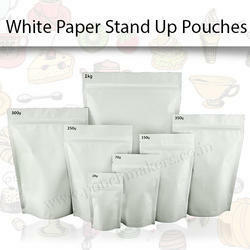 We offer a comprehensive range of White Paper Stand up Bags to our clients. 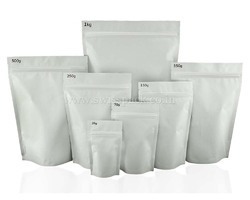 These bags are used for packaging a comprehensive range of products from diverse industry including coffee packaging, spices packaging, chocolates packaging. Offered bags are skillfully manufactured by our professionals using excellent quality base material and latest machines as per the industry standards. Clients can avail these bags in variegated specifications, as per their preferred needs. 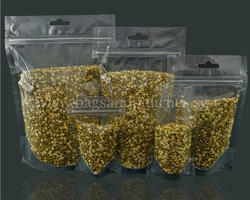 We offer these bags in bulk quantity within scheduled time-frame. Now a day namkeen/farsan is omnipresent around the globe, hence a lot of universal corporations compete to capture the large shares of namkeen/farsan market. So for surviving in this throat cut competition as well as improve the safety and appeal of these products, choosing the most appropriate namkeen/farsan packaging is of great importance. Swiss Pac provides hygienically prepared airtight and moisture-free farsan packaging bags that not only preserve the flavor, freshness and quality of products, but also lend the products a visual appeal with attractive designs. 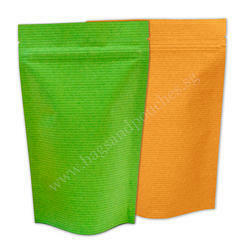 We are offering Jute Look High Barrier Bags With Zipper Foil Lined to our clients. 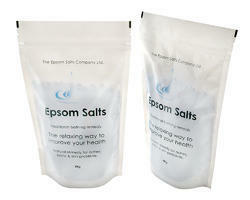 We are offering Custom Stand up Salt Pouches to our clients. 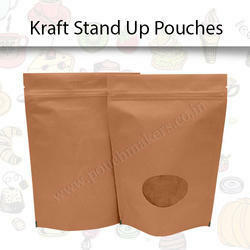 We are offering Kraft Stand Up Pouches to our clients. 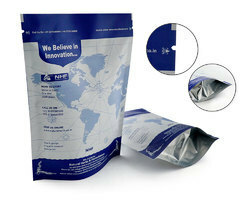 We are offering Paper Stand Up Pouches to our clients. We are offering Stripped Paper Bag to our clients. 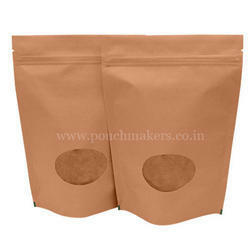 We are offering Jute Look Standup Pouches Bags to our clients. 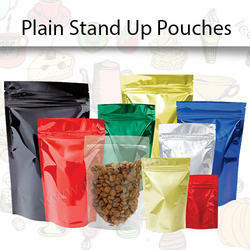 We are offering PVC Stand Up Pouches to our clients. 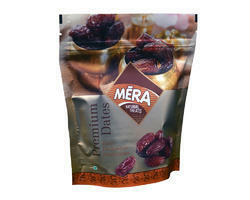 We are offering Ultra Clear Food Packaging to our clients. We are offering Ultra Clear Packaging Bags to our clients. Swisspack PhilippinesÂ is one of the leading partners in the manufacture of jute bags. This type of bag is lightweight and loads heavy weights. Bags and pouches are one of the most trusted names in the industry for manufacturing and supplying an excellent quality of jute look high barrier bags in Singapore, which are produced from high quality materials in accordance with the quality standards. We offer eco-friendly jute bags which are light in weight, stylish and non-polluting for the environment. 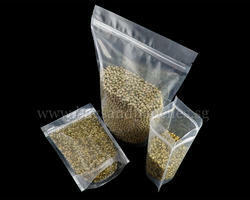 These bags are available in stand up pouches shape in different sizes as per the requirements of our clients. Our jute look bags are enormously applauded due to their stunning features such as modish design, perfect finish, durability and eco-friendliness. Our jute look high barrier bags are able to fulfill the diverse packaging requirements of various industries including protein powder packaging, sugar packaging, coffee and tea, rice packaging, grains packaging and many others. We offer our bags at the most nominal prices so they are cost effective one. 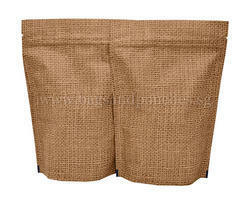 Our offered jute look high barrier bags are widely recognized for their intricate designs and perfect craft work. Besides this, we guarantee to supply our bags to our clients within the pre determined period of time. SwissPack is a india’s biggest manufacturers and exporter of stand up pouches and we are also maintain the huge stock of stand up pouches for quick delivery. We also provide spout stand up pouches, which are more suitable for liquid packaging in which we can feel liquids such as hand wash, dish wash, salad dressing or sauces, etc. The resalable bags are more flexible. So our stand up pouches are one of the innovative and unique packaging solutions, which are flexible durable and cost effective. There are vast varieties of pouches, and you are able to select one which would be suitable for your products.We offer stand up pouches for packaging, which take considerably less space than traditional boxes and packets. 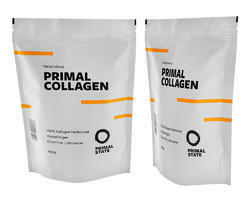 We are offering Custom Protein Powder Packaging to our clients. 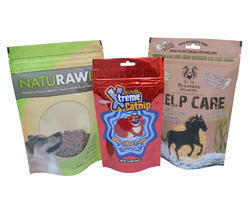 We are offering Pet Food Packaging to our clients. We are offering Custom Coffee Bags to our clients. 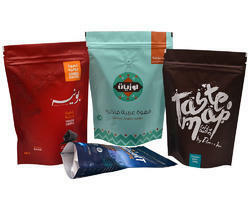 We are offering Green Coffee Packaging to our clients. 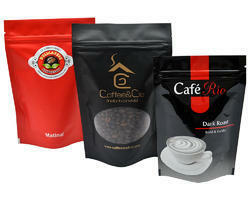 We are offering Coffee Powder Packaging to our clients. 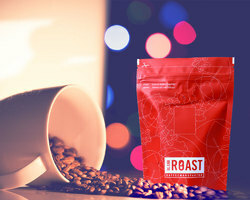 We are offering Custom Foil Coffee Packaging to our clients. We are among the acclaimed firms, engaged in offering high qualitative Stand up pouch with zipper Brown paper bags with oval window. Our provided pouches are manufactured using quality approved plastic and contemporary technology, in sync with industry norms of the industry. In order to ensure the quality of products, our team of experts tests them on various parameters. Apart from this, we provide our entire range in different specifications as per their requirements in industries. We are the world’s largest manufacturers of stock stand up pouches and we are bringing forth a wide assortment of 70gms,150gms, 250gms, and 500gms Stand up pouch with zipper Brown paper bags with oval window - Stand Up Pouch With Zipper, Brown Paper Packaging Bags for many years. 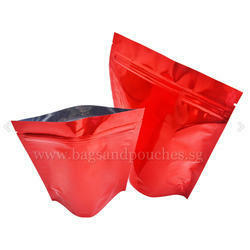 Our high quality and durable bags are leakage and breakage proof. For our stock pouches, our MOQ is 500 pouches. Where you can mix and match the size and colour in multiple of 100 and make a total of 500 pouches. We are offering Custom Chocolate Design Packaging to our clients. We are offering Custom Stand up Coffee Bags to our clients. We are offering Custom Coffee Pouches to our clients. 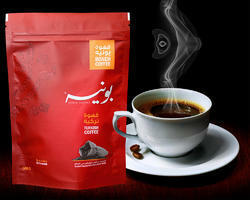 We are offering Roasted Coffee Packaging to our clients. We are offering Custom Sports Nutrition Bar Pouch to our clients. 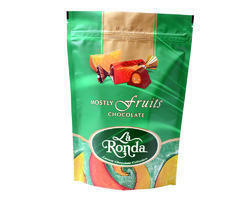 We are offering Custom Chocolate Packaging to our clients. 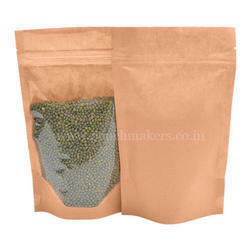 We are offering Custom Spices Packaging to our clients. 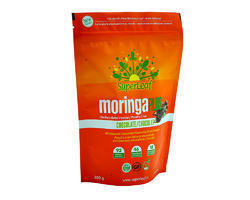 We are offering Custom Pet Food Packaging to our clients. We are offering Custom Pharmaceutical Packaging to our clients. 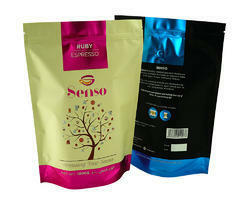 We are offering Rosted Coffee Pouch to our clients. We are offering Custom Herbs packaging to our clients.